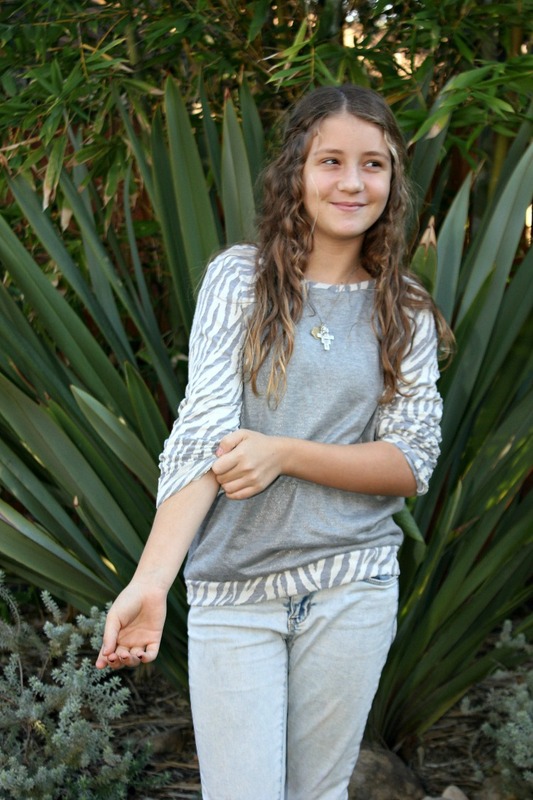 I’ve been making lots of knit tops and have been experimenting with ribbed necklines. How long to make them, how to get the right amount of stretch but not make them stretch out completely. It’s not exactly exciting sewing, but it’s necessary sewing as I’m really trying to make the majority of the clothes I wear. I have yet to make jeans, though. 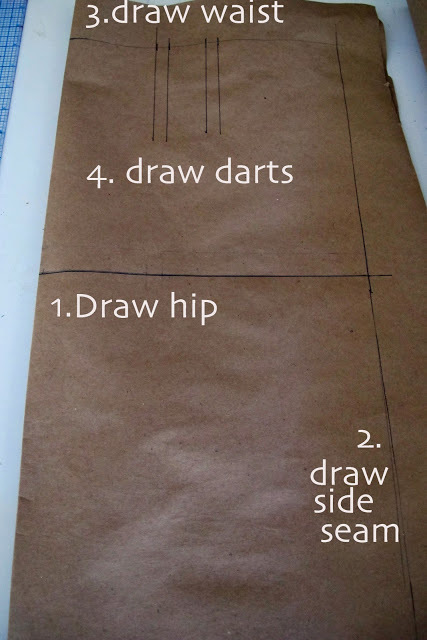 I bought a class on Craftsy on how to make a pattern from your favorite pair of jeans, and hope to get to it this year. All those cute Ginger jeans have me inspired to finally try my hand at jeans making. 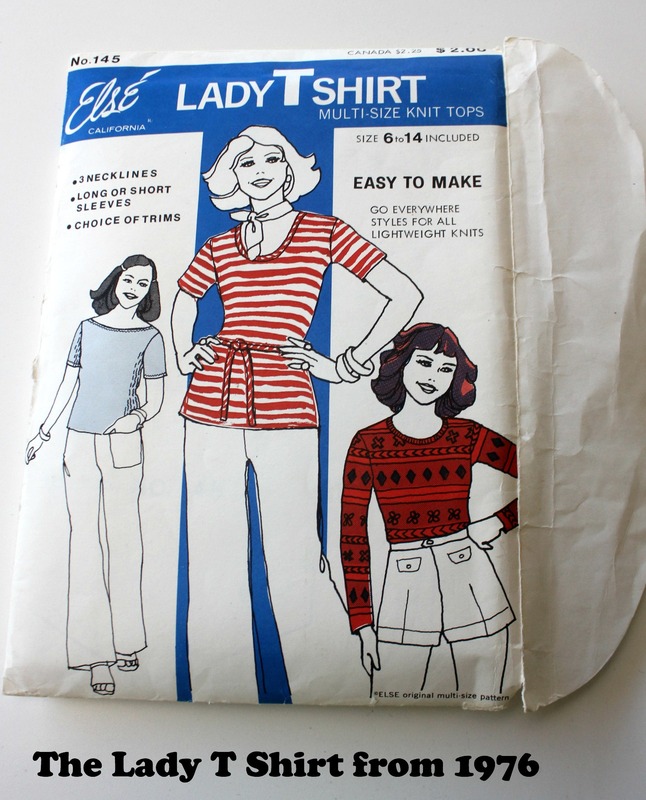 I need some longer sleeved tees and was rummaging through my patterns, trying to decide if I should have another go at drafting a t shirt, when I found the Lady T Shirt pattern . A pattern from 1976, I found it in my old box of vintage patterns. I find my vintage patterns always seem to fit really well. Else Patterns were produced on Robertson Boulevard in Los Angeles. Rents must have been cheap back then to have a pattern company in a Beverly Hills address! I can imagine designers standing at large cutting tables, crafting hand drawn patterns, not a computer in sight. I love that the phone number on the pattern envelope listed has a 213 area code, too. I remember when everyone in greater LA had the same area code. 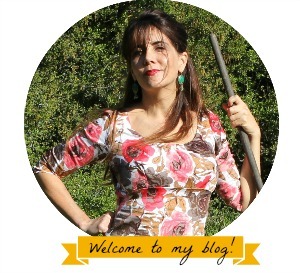 That was a long time ago! I think there are five area codes there now. So there you have My Lady T Shirt. No pattern changes. Perfect out of the envelope. I won’t bore you with lots of photos of my plain t shirt. Actually, this was the only photo I liked! The sun was shining behind me and there was too much glare in the other photo. The neckband on this one was a tiny bit too loose. It had only ten percent stretch. That’s when I came to the conclusion that 15 % is the magic number to reduce for the ribbed neckband. My next t shirt in the tutorial below was perfect, at least for me, but I accidentally cut a hole in it. Right in the center front, too. 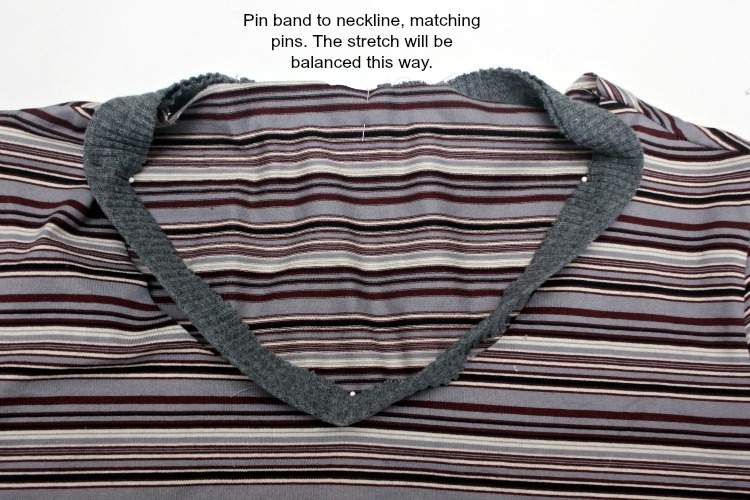 Measure the neckline of the knit top. Folding it at the shoulder seams in half is a simple way to measure. Then double the measurement for the total. 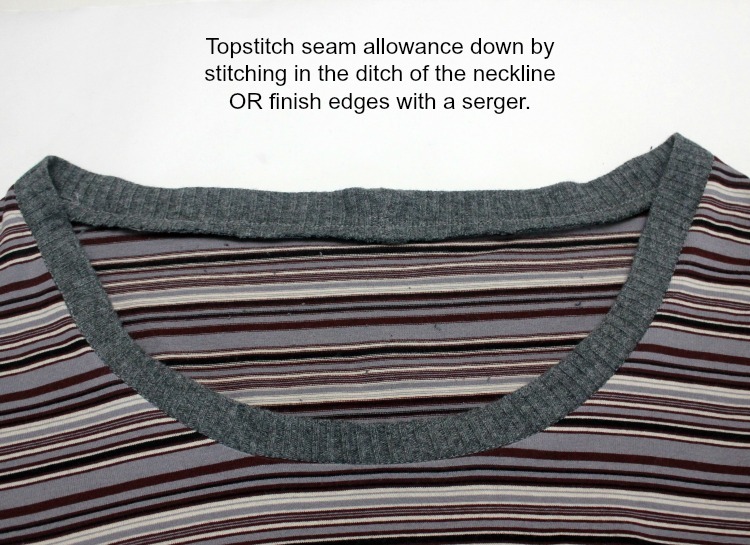 Subtract 15 percent of the neckline measurement to find the needed ribbed band length measurement. 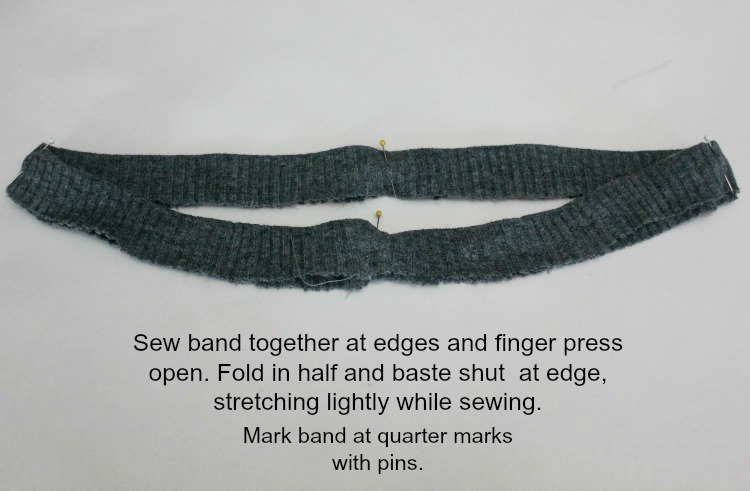 For a 3/4 inch finished neckband with 3/8 inch seam allowances, cut a long strip of ribbing to the determined length needed that is 2 1/4 inches wide. Cut the length of the band on the stretchy cross grain of the ribbing. Sew band together at short edges to make a circle. Fold band in half and press. Baste bottom raw edges together, close to the edge, stretching slightly while sewing. 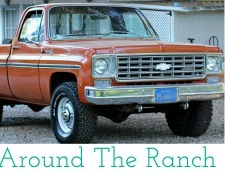 Place pins on quarter marks. Pin the top into equal quarters as well, starting at the center front. 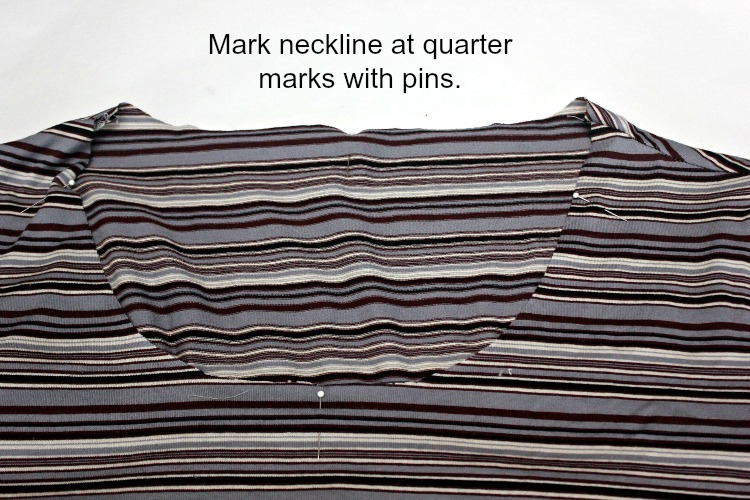 Pin the band to the neckline, matching up quarter marks. The negative ease of the band will be distributed evenly along the neckline this way. 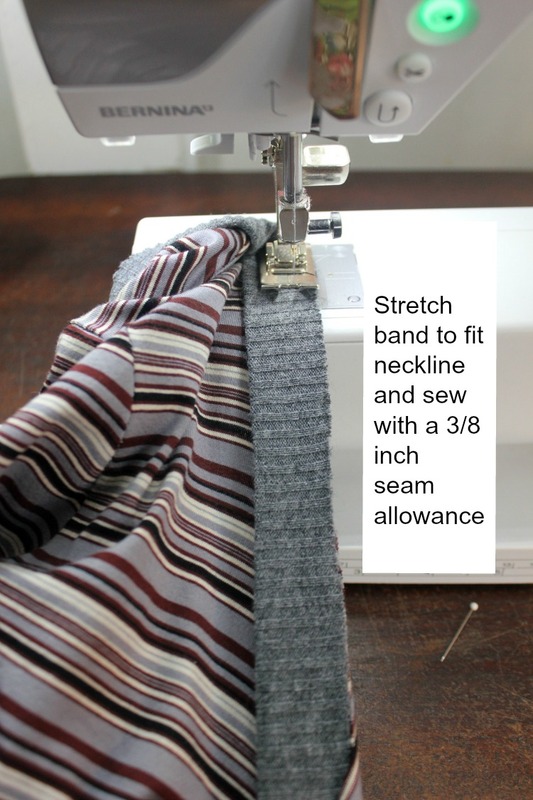 Sew band to neckline stretching band to fit neckline as you go. 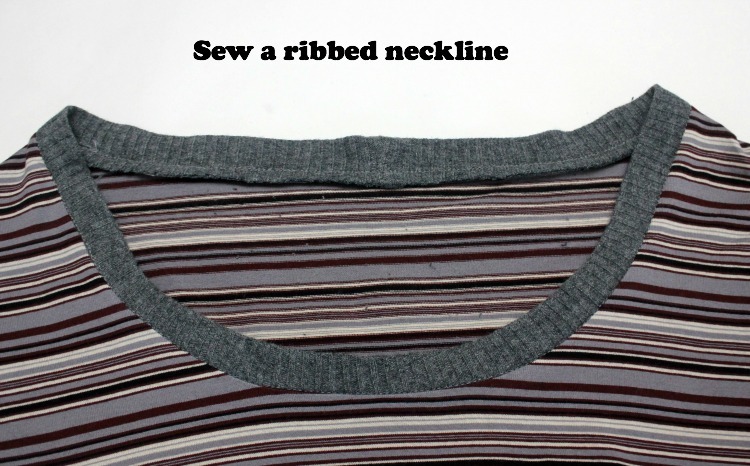 Make sure not to stretch the neckline , stretching only the ribbed band. 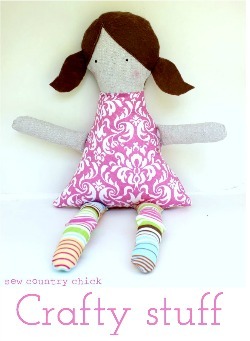 Sew with a 3/8 inch seam allowance. 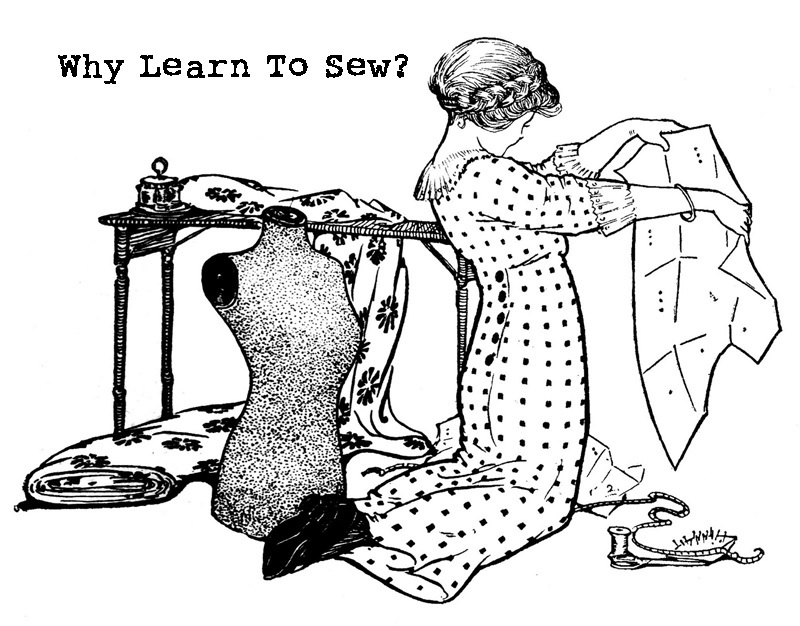 If using a regular sewing machine, press the seam allowance up and stitch in the ditch on the neckline, in front. If using a serger, serge the seam allowance to giver a nice finish. Et voila1 Mission ribbed neckband complete! 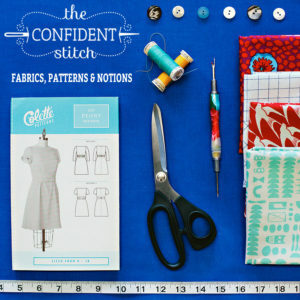 No Pattern Sweat Shirt Dress Tutorial Another McCall’s 6992 With Knit Self Fabric Neckband Draft -a- Long Day 2: Making Pencil Skirt Front Pattern A line skirt pattern tutorial: New and improved version. Curved hems can be tricky. In wovens they need to be pleated and pinned or slightly gathered from the top part because the folded over fabric is wider at the bottom than at the line it is folded up to and it will get all puckered at the top I wanted to do a curved hem too and couldn’t figure it out. I think if the hem is REALLY small it will give an OK result. The shorter the hem with curves the better. 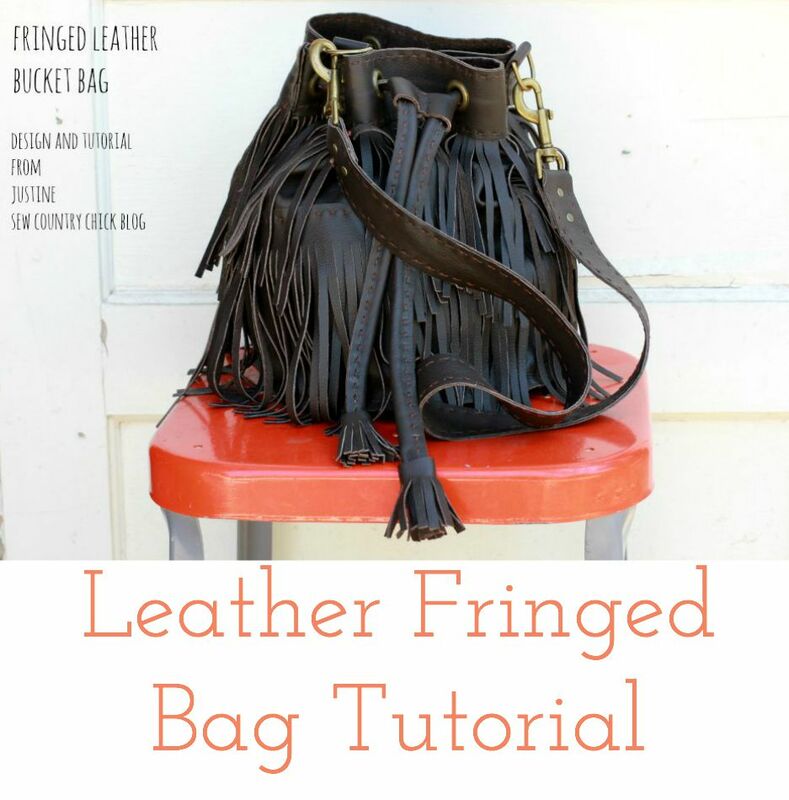 I would just fold it over 3/8 inch pin the ease out and sew with a double needle, zig zag or coverstitcher right along the edge. thank you for the tutorial.. You make it sound so easy.. Must try some more. 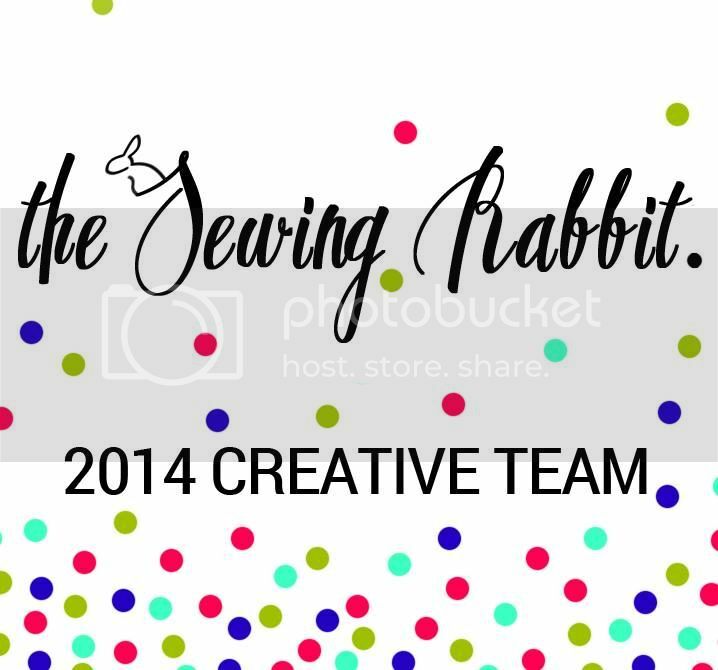 What about picking out the knit fabrics? Do you have a certain kind that you choose.. Your tshirts always look great.. 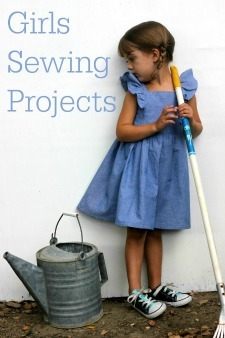 Happy sewing.. and how wonderful you are making for yourself..